I’m used to Iron Man being pretty much Earthbound. Sure, he can fly, but it’s not like he leaves Earth’s atmosphere or anything. You’d think would be the next logical step, right? Surely Tony Stark would want to blast off to the moon and at least check it out. Well, this version can do just that. 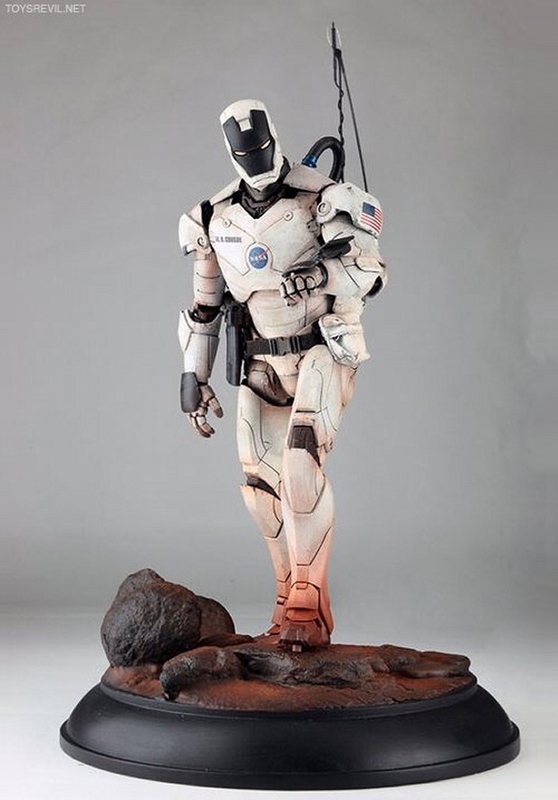 This is a NASA themed Iron Man that turned up on Imgur. I think he would need to change his theme song to Rocket Man though. It’s more fitting. And if he would wear this suit in the movies, I might finally get that Iron Man and Superman fight in space that I’ve always wanted. Of course, you know NASA. Iron Man would be all ready to go into space and he would be delayed by weather by like 10 hours. Then he would go to the moon, put a flag down and never ever go back.